Levitra is a prescription medication used to treat impotence or erectile dysfunction. Levitra works in a similar way to the established erectile dysfunction drug, Viagra. Although Viagra and Levitra are both PDE5 inhibitors, they are different molecules and while, for most people, they will work equally well, there are some difficult to treat cases where Levitra has proved more effective. In a study of non-responder Viagra patients, Levitra had a success rate of 50%. This means that where Viagra was not successful, half of the people in this group found success with Levitra. Levitra is a prescription medication so you must complete a consultation form before you can buy Levitra online. Consultations are entirely free and next business day delivery is guaranteed. Although Levitra is an effective treatment for erectile dysfunction, it is not suitable for all patients and particular caution must be exercised when prescribing to men who are 65 and over. One of our doctors will check your medical history and make a treatment recommendation. Sometimes, because of other medications that you might be taking or your general health, the doctor will recommend a dosage adjustment. The normal starting dose is 10 mg but we might have to raise this to 20 mg or reduce it to 5 mg depending on your particular circumstances. As well as hard tablets, Levitra comes in a unique orodispersible formulation. With Levitra Orodispersible you simply put the tablet on your tongue and it melts in your mouth. You must not swallow the Levitra Orodispersible with water. This formulation comes in 10 mg only. Please remember that 10 mg of Levitra Orodispersible is not equivalent to 10 mg of the hard tablet form of Levitra. Patients who have been recommended to start on 5 mg of Levitra should not take the orodispersible formulation. As with all medications, Levitra is not without potential side effects. The normal side effects noticed in clinical trials were indigestion and headaches. A full list of potential side effects is listed as part of the pre-purchase guidance if you are approved for Levitra. Not everyone will get side effects and those who do usually find them to be of minor inconvenience and are easily outweighed by the advantages of taking the medication in the first place. If you have any concerns about taking Levitra or any other erectile dysfunction treatment, please consult your GP or e-mail us on consultations@theonlineclinic.co.uk and a member of staff will do their best to answer your questions. A full list of prices is available in your patient area after you have registered. 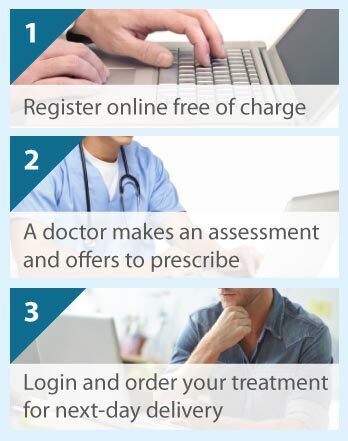 The Online Clinic charges a flat fee for the medication, the private prescription and guaranteed next day delivery. We promise to match the price of any other UK regulated website offering an identical service.